Great suspense at the Giuseppe Verdi Conservatoire in Torino, with the concert hall packed out and the audience ready to applaud the winners of the final of the International Chamber Music Competition “Pinerolo e Torino Città Metropolitana”, the prestigious bi-annual chamber music competition (a member of the World Federation of International Music Competitions in Geneva). 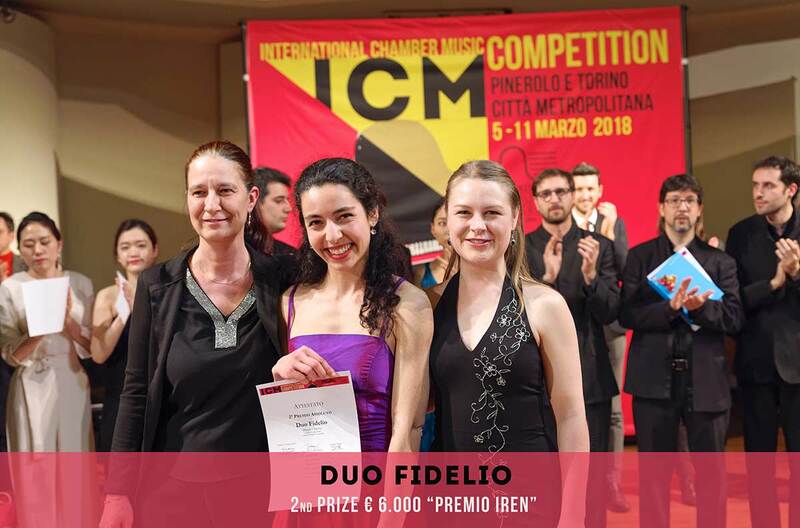 From 6 to 11 March, some of the most talented young musicians on the international music scene performed in Pinerolo and Turin. 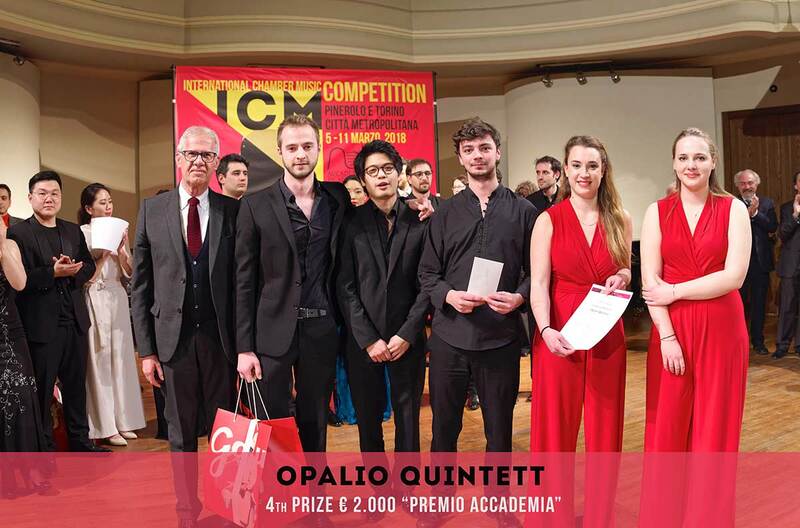 Music lovers of Turin took advantage of the free admission to an exciting final concert, where the ensembles performing were competing for prizes totalling 23,000 euros, filling the Conservatoire concert hall and transforming the final into a major cultural event. 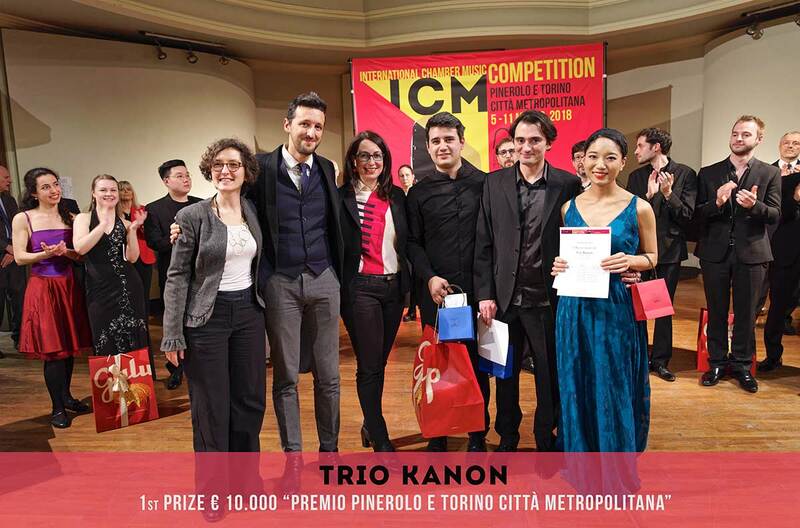 The members of the TRIO KANON, winners of the 1st prize – Premio Città di Pinerolo e Torino Città Metropolitana (€10,000) of the International Chamber Music Competition come from Italy and Japan. Lena Yokoyama (violin, Osaka – Japan), Diego Maccagnola (piano, Cremona – Italy) and Alessandro Copia (cello, Turin – Italy). The Trio was formed in 2012, and chose this name, similar in sound to Canon, which is also the combination of two Japanese words: “Ka”, flower, and “On”, music, literally “flowering music”. 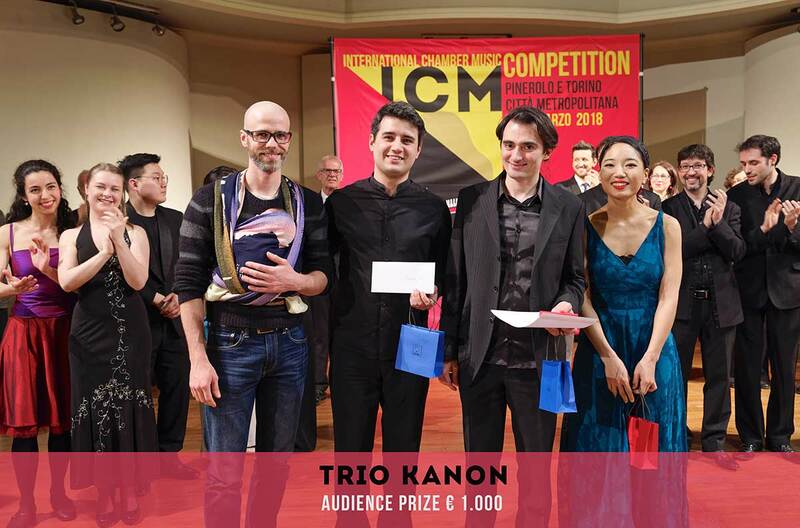 Trio Kanon have studied with the Trio di Parma at the ICMA in Duino, with Lonquich at the Accademia Chigiana, with Beyerle and da Silva at the Trondheim Chamber Music Academy, with Kouyoumdjian, Meissl and Nagy at Reichenau an der Rax (Vienna) and with Wille at the ProQuartet in Paris. 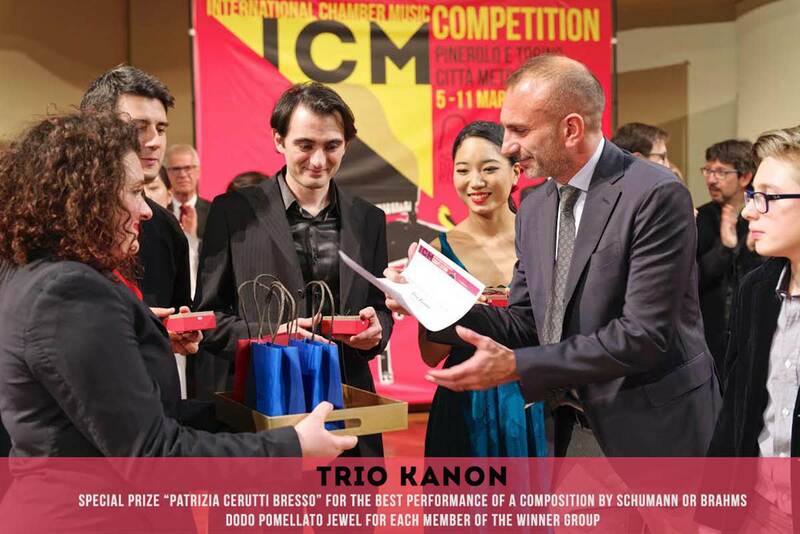 They have won awards at national and international competitions (Rospigliosi, Antonelli, OnStage, Brahms at Pörtschach, Schonfeld in Harbin, China),and in 2015 they won the “Chamber Music Award” as best ensemble at the Internationale S. Akademie PragWien-Budapest, an award supported by the Haydn Institute and the University of Vienna. They have performed in many concerts in Italy (Teatro La Fenice, Rai Studios in Trieste, Sala Casella della Filarmonica Romana, Teatro Verdi di Trieste, Palazzo Ducale a Mantova) and internationally (the UK, Croatia, Austria, Norway, China and the USA). In 2017 they debuted in Japan, playing at the Music Salon Amadeus in Kobe, the Aqua Cultural Center in Toyonaka and the Petit L-Hall in Osaka. They have made recordings for “Amadeus” and for “Movimento Classical” – music by Beethoven. 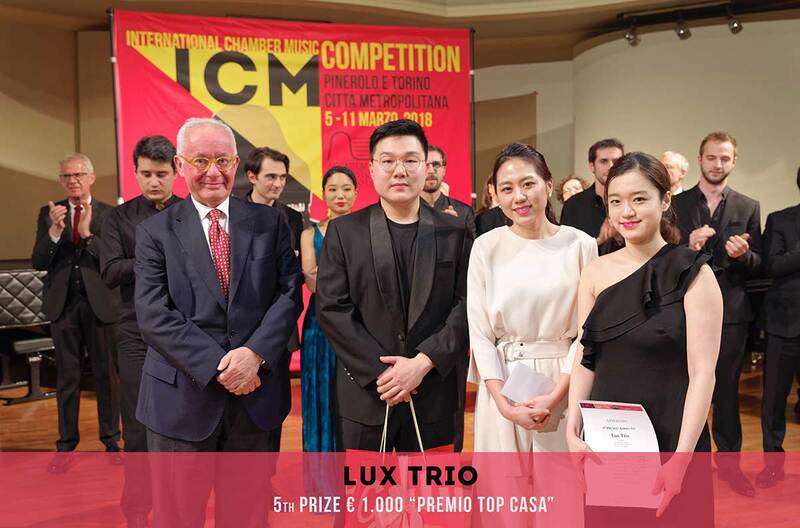 The prize was presented to the trio by Francesca Paola Leon – Councillor for Culture for the City of Torino, Martino Laurenti – Councillor for Culture for the City of Pinerolo and Anna Martin – Councillor for the Città Metropolitana di Torino, thus demonstrating not only the high level of prestige the event has achieved over the years, but also the impact and importance of an integrated system promoting music, with the capacity to attract international talent. At the final concert in the Conservatoire the trio played Maurice Ravel’s Piano Trio in A minor: Modéré. The audience played an active role in the final, as they were able to vote for their favourite ensemble, thus awarding the Audience Prize. Everyone who voted was eligible to compete for the Prize for the Audience. One name was drawn at random to select the lucky winner of a travel voucher worth €200 for a trip of their choice. The presenter for the concert was Paolo Pomati. 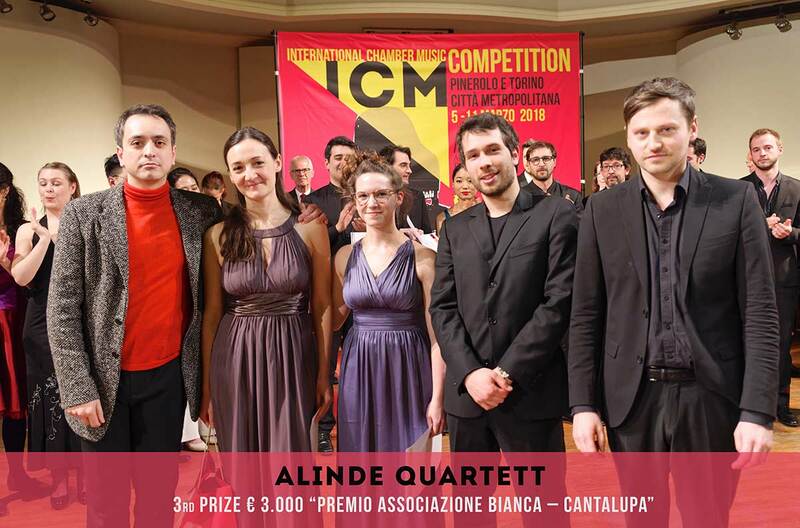 Since 1994 the Accademia di Musica di Pinerolo has organised this competition with the support of MIBACT – Ministry of Cultural Heritage, Cultural Events and Tourism, the regional government of Piedmont, Regione Piemonte, the City Council of Pinerolo, City of Torino city council and the Compagnia di San Paolo; with the patronage of Regione Piemonte, Città Metropolitana di Torino, Città di Torino and Città di Pinerolo; with the partnership of Iren S.p.a.; with contributions from Associazione Bianca – Cantalupa and Top Casa; technical back up from Mirafiori Motor Village, Galup, Cavourese S.p.A., Bresso Gioielli, Yamaha Music Europe, Piatino Pianoforti, Dora Renato Cantina in Frossasco, Salumificio Cavour, Caseificio Pezzana, Eataly, Albergian, Bellucci, and Edentours. 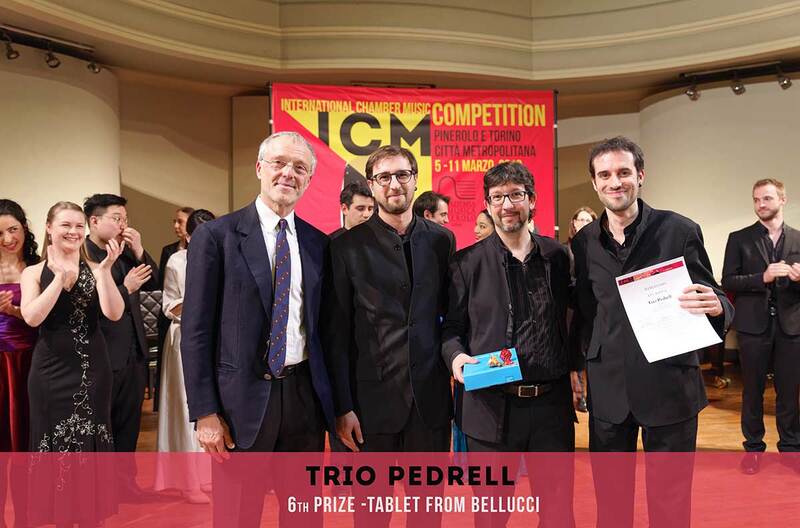 The competition also received invaluable technical assistance from the Unione Musicale di Torino. 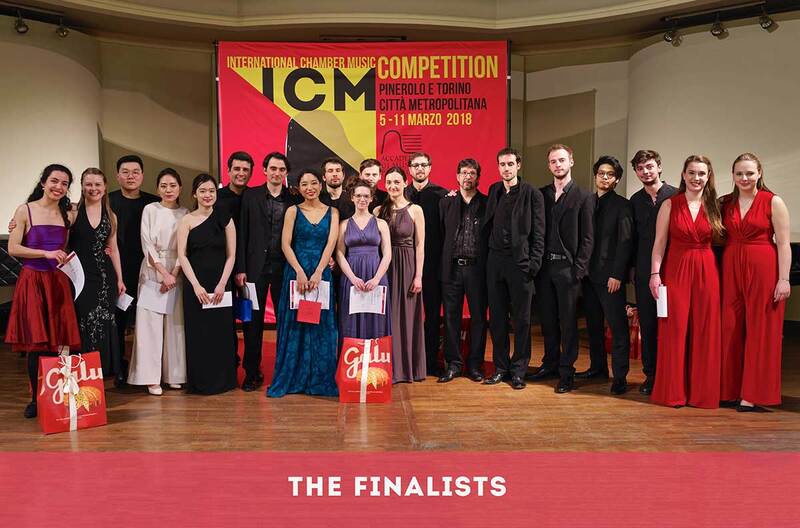 The ICM is a member of the World Federation of International Music Competitions in Ginevra.